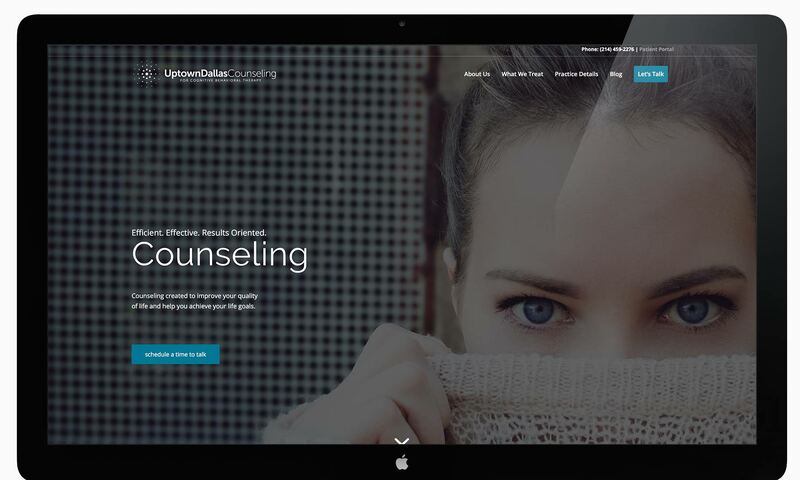 Uptown Dallas Counseling Brand Development | Sales and Marketing Inc.
Uptown Dallas Counseling is one of the top cognitive behavioral therapy locations in Dallas, Texas. However, their brand had grown outdated over the years, along with their online presence. Sales and Marketing Inc. was asked to help Uptown Dallas Counseling create a new marketing strategy focusing on expanding their clientele, developing a new company brand, and developing a whole new online experience for all of their customers. This project required new logo creation, color scheme development, and selection of typography. 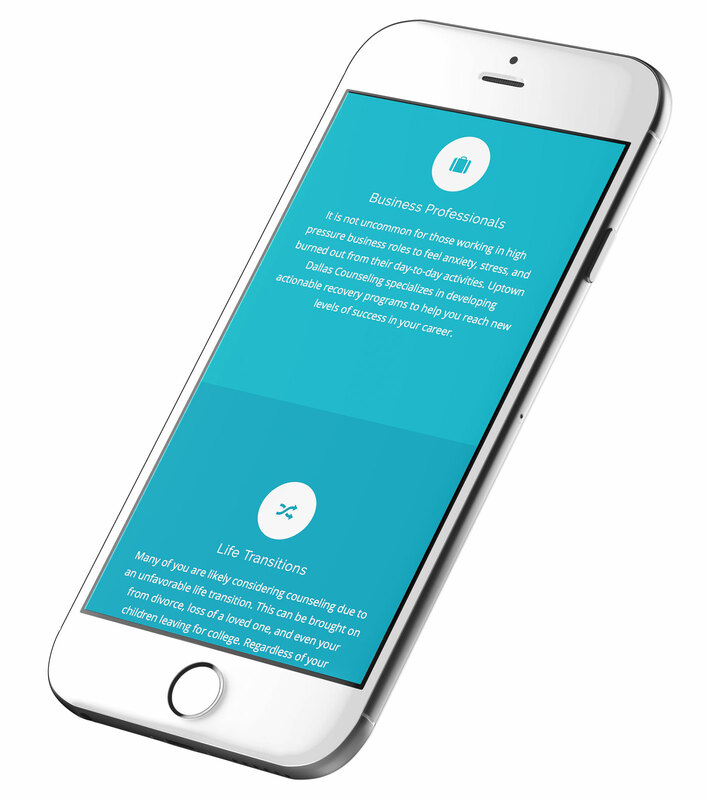 Website development was a complete redesign of key pages, mobile responsive, with an easy sign up form for new customers. When originally speaking with Uptown Dallas Counseling, they were not only growing, but were also rapidly expanding on the symptoms their facility could treat. They needed a new marketing strategy to reach their new targets and position it in a way that was effective. Documenting their current and new target markets. Validating current and new target markets with market research and buyer persona creation. Development of a new brand to better position them with each target in mind. Creation of a new website to effectively display the new messaging and imagery. The entire project was completed over a three month timeframe, on time and on budget. All of our website projects are designed to maximize the user experience and accomplish the goals of our clients. This includes building the website using a responsive WordPress theme to display correctly on any size device. In addition, all of our website projects focus on maximizing the company's SEO efforts. Additionally, all of the content on the website was chosen carefully to speak directly to the chosen target markets we created during the marketing strategy development phase. Our team decided to take inspiration from the Reunion Tower located in Dallas, Texas. With this inspiration, we focused on creating a clean new logo that was bold, but still easy on the eyes. Due to the recency of the project, we currently only have complete statistics on the first month following the new website launch. Originally, we estimated a normal jump in website traffic as people visit to check out the new website redesign. However, we were surprised to see such a massive increase in appointments set. Shockingly enough, this is before launching any of our social media and PR campaigns for the Dallas area coming in the next quarter.